Best Answer to "What's The Difference Between SEO and SEM?" Worldwide, more than $100 billion is now being spent on digital marketing. With so much competition, finding the right digital marketing strategies is a must if you want your website to stand a chance at getting its a share of the internet traffic. Before you start investing your marketing budget though, there is one important thing you need to understand. 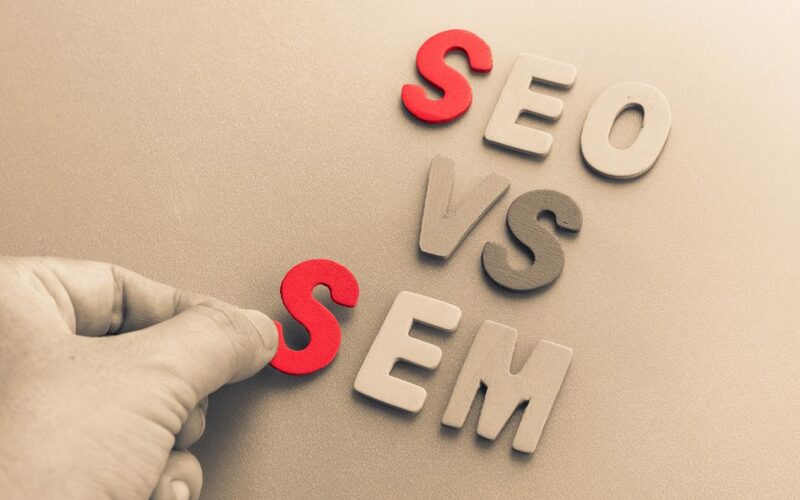 Keep reading to learn the difference between SEO and SEM. To understand how SEO and SEM differ, you first need to understand what each term means. SEO, or search engine marketing, is the process of implementing tactics aimed at increasing traffic to a website. These tactics are always organic and never paid, which means social media pay-per-click advertising isn’t an SEO tactic. Instead, SEO utilizes tactics like keywords and backlinks to boost a website’s ranking on search engines. How these tactics are implemented depends on the current search engine algorithms. These algorithms are designed by search engines like Google to deliver the best possible results any time a web surfer runs a search. To master SEO, you need to know what the current algorithms favor as well as what they might blacklist your website for. For instance, while keyword usage is important, pack your website with too many repetitions of the same keyword, and you could end up hurting your search engine ranking. SEM, or search engine marketing, encompasses a wider category of marketing tactics than SEO. In fact, SEM technically includes SEO. It includes a wide variety of internet marketing strategies aimed at increasing website traffic and visibility. Besides SEO, SEM also includes strategies like PPC advertising and social media advertising. Any tactic that helps you drive traffic to your website is considered an SEM strategy. Now that you know what SEO and SEM marketing each mean, it’s time to focus on the difference between the two. The biggest difference between SEO and SEM is that SEO encompasses strictly organic marketing strategies while SEM encompasses both organic and inorganic tactics. But because SEO is a strategy of SEM, SEM includes all of the same strategies as SEO, like keywords and backlinks as well as the inorganic strategies like PPC ads or social media advertising. While there’s a difference between SEO and SEM, they both serve a purpose in internet marketing. Paid advertisements are a great way to drive traffic to your website from social media or search engines fast. Unlike SEO tactics, they won’t take a long time to start working. Web surfers are increasingly choosing organic search results over paid advertising on search engines. Organic strategies are also longer lasting; when you stop paying for an advertisement, it disappears, and you no longer receive any traffic as a result. Alternatively, SEO strategies continue to work to boost your website’s ranking long after you’ve implemented them. You’ll need to keep updating your tactics to keep your ranking, but your efforts won’t simply disappear once you’re done with them. If you’re ready to start upping your SEO game, we can help. Check out our managed SEO option to see how we can help you start driving organic traffic to your website.